I decided to start with the left inside fuselage wall (since it does not have the side-stick recess to deal with). I figured there was less to think about and I could focus on the layup instead of having to worry about getting the recess to contour properly. Anyhow, I started out by slurrying the foam surface and applied the first layer of UND. As the plans indicate, I did not overlap the two sections. I simply butted the selvage edges as closely as possible. Here goes the first layer at 30 degrees orientation. The bottom layer has it such that the fiber slopes down while heading towards the front. Fast forward 3 hours! Holy crap was this a hectic layup! I had no time to take pictures in between! My friend was helping me mix resin and I was pouring it faster than he could mix it! We must have used half a quart of resin! I had marked the cloth pieces prior and this helped a lot! You don't want to start questioning the orientation of such large pieces of cloth while you are in the middle of mixing epoxy. The second layer went on in the opposite direction (30 degrees from the bottom edge such that the fibers ran up as you move towards the front). After all the cloth was wetted out, I scissor trimmed all the edges. I then mixed wet flox and installed the top longeron. 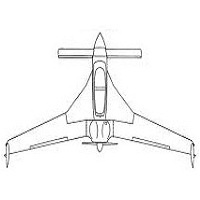 The front longeron is flush with the front edge and the aft overhangs by an inch. I then clamped it down and wiped off excess flox. I then used the remaining flox to install the stiffener. (UPDATED NOTE: while working on Chapter 21 - the strakes, I noticed I installed a 0.5" thick stiffener. The plans show a 0.4" thick stiffener. At the time, I thought nothing of it and installed the 0.5" thick strip. Problem with that is 0.1" will have to be milled later in order to make the cutouts for the baggage compartment cutouts - see plans pg 21-2. Not a big deal, but if I were redoing it, I would have purchased a 3/8" thick strip instead of 0.5"). Here's another shot of all the clamps. The gray ones held the stiffener to the longeron, while the blue ones held the longeron and stiffener down. I used peel ply on the clamp tips so that it would keep it from adhering to the flox and/or epoxy. I didn't bother knife trimming it since all the clamps were in the way. After 24 hours of cure, I removed the clamps. Notice the stiffener attached to the longeron. I used the vibrating multi tool to cut the edges all around. I didn't bother cutting it perfectly flush with the top of the longeron. I will later use the router to get a perfectly flush edge. I then used the router to apply a 1/4" radius on the inside of the top longeron. This will make the reinforcement glass strips easily contour the longeron corners. Ooooooooo weeeeeeee!! That is looking good! Now for the bottom triangular longeron. This one is a bit trickier since it has a lofted curve. I started out by placing the lower longeron such that the front lip would overhang about 0.5". I then measured 20.5" in the center section, from the top lip of the top longeron to the bottom lip of the bottom longeron. Once I got it at exactly 20.5", I used clamps to temporarily hold it down. I then match-drilled holes (which I had already drilled out in the lower longerons) and inserted nails to lock the longeron in place. I then worked my way up towards the front and repeated this process for the dimensions shown in the plans. Here I am verifying the aft end be at exactly 16". Notice the 1" overhang of the lower longeron; this will later be trimmed after the firewall installation. After all the nails were match-drilled and put in place, I traced the top lip of the lower longeron with a sharpie for a reference line. I then removed the clamps and uninstalled everything to get ready for the real installation with wet flox. I mixed up some wet flox and applied it to the lower longeron. I simply located the lower longeron into place, starting from the straight middle section (the 20.5" tall section) and inserted nails where they had been previously match-drilled before. I then worked my way towards the front, and finally from the middle towards the back. I then used clamps to apply down pressure and wiped off excess flox. Here's a close-up of the clamps pressing down on the longeron. Also, note the notches (spaced one every two inches) to allow for easier bending in the back. And presto! The left inside face of the fuselage with longerons and stiffeners attached! I then measured the LWX and LWY locations and floxed them into place. Just as I was asking myself, "What heavy box can I place on top of the LWX and LWY blocks?" to weigh them in place, my girlfriend returns from grocery shopping and asks me, "Can you please help me unload this heavy box from the car?"... I said.... "Yes! Yes I can help you unload that heavy box from your car!"